I LOVE pot-luck dinner parties — especially when the instructions from the hostess ask that each attendee bring their own bottle of wine. This was the case last weekend when I was in NYC with a group of my best friends from college. Three out of the five of us at the party have food blogs (T and M), so you can imagine how excited we all were to get together to cook and above all, eat! Obviously I grabbed the dessert course, and turned to this cookie recipe I had been drooling over from Lovin from the Oven. Since I was traveling from CT, I prepared the dry mix ahead of time to bring with me, and was able to whip up the dough while Tyla and Marissa were making dinner. By the time we had finished the delicious dinner course, my dough had rested in the fridge for just the right amount of time, and within 10 minutes we had warm, gooey crack/cookies. To really make the cookies special, I had made the marshmallows myself (recipe coming soon!) the day before and brought them along to surprise my friends. They puffed up quite a bit while baking and browned beautifully as any s’more should. To say these cookies were delicious does not do them justice – they were AMAZING. A few people even claimed they were the best cookies they’ve ever eaten, and one’s mom is a professional baker! 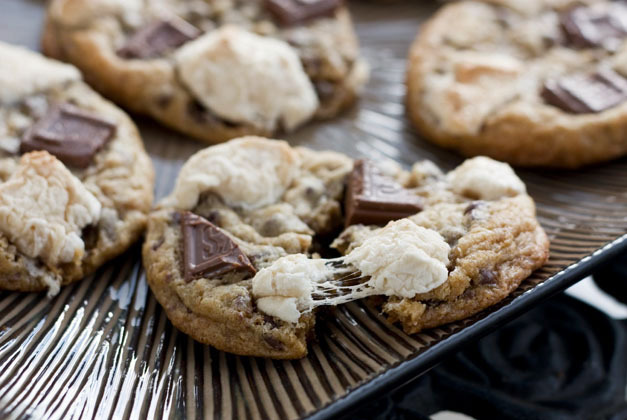 As if s’mores aren’t delicious enough, making them in cookie form, especially from a recipe that calls for 2 sticks of butter, makes them absolutely irresistible. I very strongly recommend this recipe, and hope your friends enjoy them as much as mine did. – Bake for 8 minutes and remove from oven. 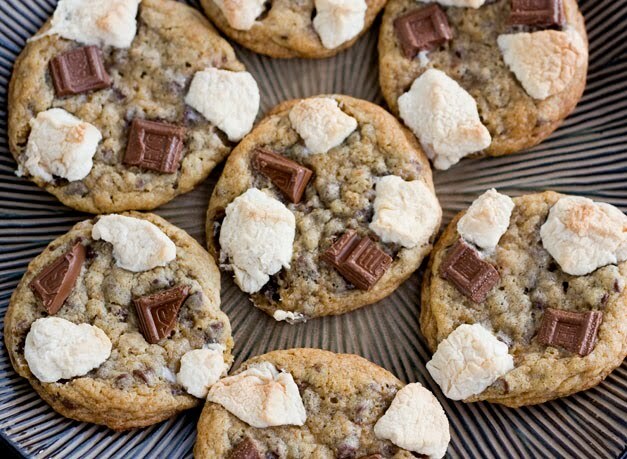 Push a few marshmallows and pieces of chocolate into each cookie and return to the oven to bake an additional 3-4 minutes. 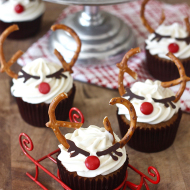 So I really want to make these, but I’m pretty sure that without the homemade marshmallows they aren’t going to be as good. Why don’t you just make me s’more…get it? Hahahaha. You really stepped these babies up with the homemade marshmallows! Love it. Great job! I have seen these cookies, but homemade marshmallows really make them special! 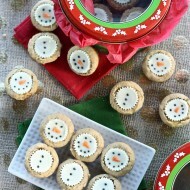 The cookies look delish! That photo with the cabs in the background is awesome! Thanks so much for all these nice comments, now go into your kitchen and bake them! I haven’t even had breakfast yet. You’re killing me here. Seriously. I just adore your blog, and made a big batch of these amazing cookies for a friend’s birthday today. They were a hit! I made sure to give all but 1 away so that I wouldn’t sit and eat them all. My marshmallows were perhaps a little bit too big, and some oozed off the cookie, but they still tasted awesome. I was in a rush, otherwise I would have taken photos and blogged about them too. 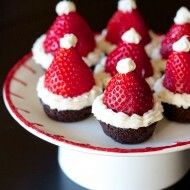 yumm I just made these and they are every bit as incredible as I’d hoped :) thanks for sharing! I’m not disparaging the idea, I think it’s spectacular. But in the execution, there is massive room for improvement. The graham crackers add nothing to the taste and very little to the texture; it’s strictly to make you feel s’more-ish while making them. 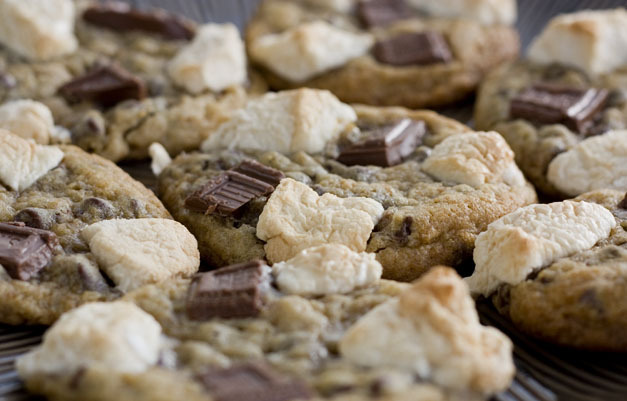 The recipe itself is more or less (less, in my opinion) a chocolate chip cookie with marshmallow and chocolate on top. Fine, love the idea. But if you use a recipe that leaves you with a mostly flat cookie and bake it a hair too long with the marshmallow, the marshmallow will melt into sugar and leave you with a lacy hole in your cookie. I made these yesterday and they are out of this world! Thanks for a creative and fun recipe (and a perfect way to use up leftover marshmallows and graham crumbs). I think this one’s going to be a regular in our house! Love your twist on the classic campfire treat! I made some similarly but instead of placing the marshmallow on top, I melted one between two cookies. 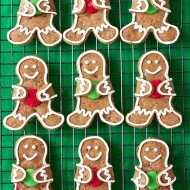 My friends LOVED them…their only complaint was that they ate too many cookies too fast! 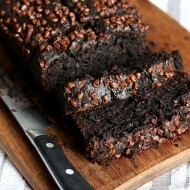 sprinkle graham cracker crumbs over top works great! without sprinkling you really can’t taste it. mmm best cookies ever! Yummy! We make our s’mores with Caramilk bars so I used those (didn’t have Hershey in the house), also broke a few graham crackers up and put small pieces on top along with chocolate & marshmallows. Thanks for the recipe! 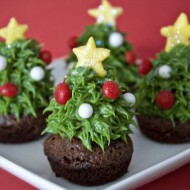 These are absolutely delicious as I made them before Christmas time. A huge hit, definitely a keeper. There is also a recipe I made using graham crackers lined with parchment on a cookie sheet and then put a teaspoon drop of cookie onto grahama and lightly press down. 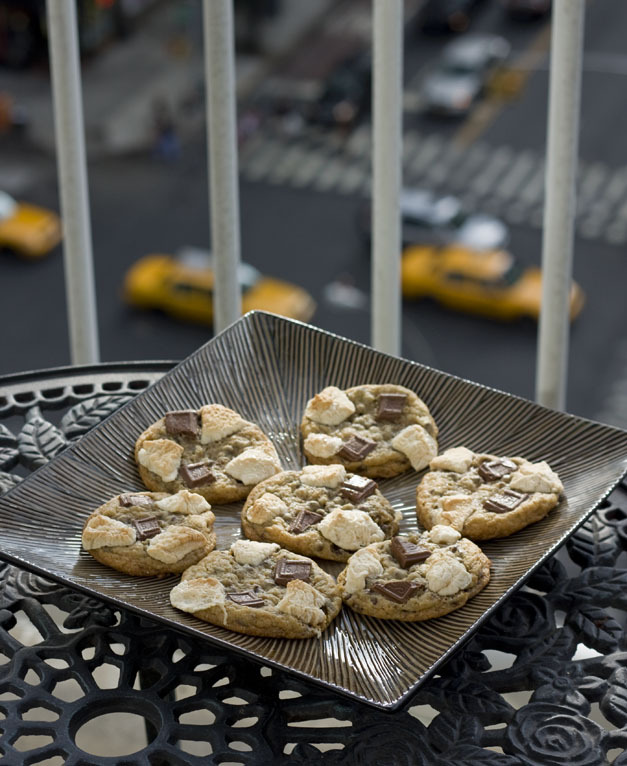 A true s’more cookie! 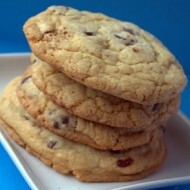 These cookies are perfect for memorial day- marking the beginning of summer, so I just made two batches! I found it worked best to bake the cookies with chocolate and marshmallows for an additional 3-4 minutes, as you said, but then broil them for just about 1 minute so they get that browned “s’more” look. I would imagine a kitchen blow torch would do the trick as well. Additionally, I made a gluten free batch! how, you ask? I just got a gluten free cookie mix, threw in some gf graham cracker crumbs, and then baked the cookies 4 minutes less than the mix indicated, put on chocolate and marshmallows… and the rest was delicious history! Thanks for the recipe, Erica! 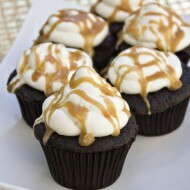 Just made these… SO GOOD!! After reading the other comments, I tweaked this recipe a little. Instead of graham cracker crumbs, I bought honey graham crackers and crushed them myself, also added a graham “chip” to the top of the cookie. This removed the issue of not tasting the graham cracker in the cookie. I also used store bought marshmallows, while I’m certain that homemade would be phenomena, store bought worked well too! Thanks Erica!! As a host mom to 5 minor league baseball players, I am always looking for alternatives to traditional cookies. 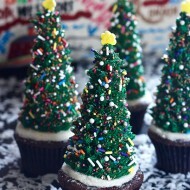 These look amazing and are my next project for “my boys”. Thanks for the great recipes! I Made these And Lemme just say Imma be making these more often . Once i took the first bite i fell in love with it ! Thanks for the recipe !